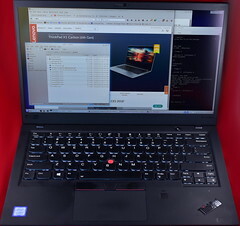 This post is about setting up Slackware Linux on the ultrabook Lenovo ThinkPad X1 carbon 6th generation. This is an extremely light laptop with top-end performance, including a superfast 1Tb NVMe drive. I like the fact that this is incredibly thin and light, but yet has two full USB 3 ports, two USB C and a full size HDMI port. The battery holds a pretty good runtime. Check the table at the end to see details of the hardware configuration. The computer came with Windows 10 Home pre-installed. In the event that I may need to run something on Windows (occasionally I need to use Word with Endnote), I decided to virtualize this and try to have it available as a VM. VMWare has a tool that can do this: VMware vCenter Converter Standalone. Running this in Windows (started with Run as adminstrator) created a VM image that I wrote out to an external drive, hoping to be able to run it with VMPlayer. This worked well as you can see below. In order to be able to restore the full system, I also made a backup of the recovery partition. To achieve this I booted the system using a GParted thumbdrive and used FSArchiver to archive the partition to an external USB drive (SBo also has a slackbuild of FSArchiver). Having got all I wanted from the original system, I could now remove the original OS to give way to my Slackware system. Still using the GParted thumbdrive, I deleted all partitions except the EFI System Partition. 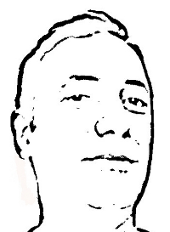 I created a small 128Mb boot partition formatted with ext4, and another large one, with the rest of the disk size, to be encrypted and store root and swap. enabled "Thunderbolt BIOS Assist Mode"
There are some issues with installling Slackware on this machine such that it boots off of UEFI and from an NVMe solid state drive (a new and faster version of the SSD protocol). Due to work requirements, the disk also needs to be encryted, which I do using the LVM+LUKS method. because I need disk encryption I followed the instructions on the README_CRYPT.TXT file in the installation folder; I use the LVM+LUKS method that encrypts both swap and root. I created a plain ext4 partition (128 Mb) to mount /boot and another one with the rest of the entire disk to encrypt for swap and root. Note that this method will always require an initrd, it won't boot without one (even with the huge kernel). now that I have a partition to encrypt I followed the instructions of README_CRYPT.TXT to encrypt the partition and create two LVM volumes for swap and root. Because I want to be able to hibernate to disk, the swap file has 16Gb (the amount of RAM on this laptop). at this point I inserted another USB with the full Slackware64 14.2 installation (fortunately this laptop has two full USB 3 slots! ), mounted it and then started the setup command (from Didier's USB that booted the system). At the point where it asks for the Slackware installation folder I pointed it to the second USB. then I applied all the patches available at this time (except the kernel since we will need a more updated version). finally I created an appropriate initrd.gz. Note that this laptop needs to load the modules nvme-core and nvme in the initrd, otherwise it cannot read from the solid state drive and it will not boot! after having made the initrd.gz I've put it and the (generic) kernel in the /boot/efi/EFI/Slackware folder. At this point the system is ready to reboot; the newly installed Slackware 14.2 boots like a gem! The kernel that comes in Slackware 14.2 (or the one in the patch folder) does not have a driver that works with the wifi adapter in this machine (Intel Wireless 8265). Fortunately at this time Slackware-current has a kernel that has the driver, so I've installed that one. Maybe I could have just used the Slackware-current kernel packages, but I feared this may depend on a different glibc, etc. To be on the safe side I decided to compile the kernel myself. To avoid going through all of the kernel configuration, I got the .configure file from Pat's Slackware-current kernel packages. You can get this file from the kernel source package and drop it in your kernel build directory. Then just do the typical make, make modules_install and copied the kernel file to /boot/efi/EFI/Slackware. there are other options to pass to the kernel too; one is to to better configure CPU turbo mode and another for cooling. I have not done this yet and will update this entry when I figure it out. after booting the new kernel the wifi works fine. At this point I have a really nice laptop setup. It is increadibly light and fast. I've got the touch screen and that works perfectly well, including with the stylus from the X230t that I had previously (or if you prefer any stylus for tablet will work with it too). 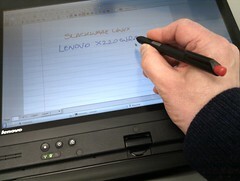 I use the stylus to sign documents at work, or to edit photos at home. At this point only the fingerprint reader does not work under Slackware. The specs and functionality of the hardware are listed below. sound card integrated Intel HDA works snd-hda-intel integrated microphone works; external mic and heaphones requires single jack. touch pad SynPS/2 Synaptics TouchPad works psmouse this one works flawlessly, I hear about othe models that did not; possibly different hardware and I got lucky! These days we get Gmail to manage mail servers (in my case this happened due to the large amount of spam filtering that my email server had to do). However many Linux services may need to send email and yet I don't usually check the local email accounts on each machine. The best way to have those automated emails to work is to have the machine forward email through Gmail. This post describes how I set this up on Slackware 14.2. In Slackware 14.2 the sendmail configuration files are kept in /usr/share/sendmail/cf/cf/. We will create a new configuration file by expanding the base slackware sendmail configuration. This will have to be compiled and deployed in /etc/mail, then sendmail needs to be restarted to reload the new configuration (or as in my case, activated for the first time). Your test message should have arrived at your test email account. It seems that if the machine forwarding mail to Gmail does not have a reverse DNS entry, the messages may take quite some time to be processed (Gmail slowing down machines that may be suspect of sending spam, as these days most bona fide mail servers would have a reverse DNS entry). This is about setting up Slackware Linux on the "Convertible" Laptop-Tablet PC Lenovo X220t. 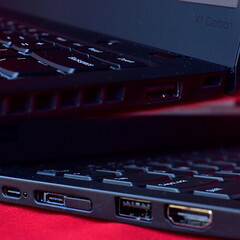 This combines the advantages of a tablet (being able to write with a pen) with the speed of a proper computer (an i5 rather than an ARM processor). I use it both for running lengthy simulations, as well as for editing PDFs with handwriting. The kernel that comes in 13.37 has old wacom drivers that don't work with the touch screen of the X220t (which is a USB device). So I upgraded the kernel to 3.2.6. I use this config file. KDE has been my window manager for ages, but I am getting tired of how it has become slow and wasteful. By and large the KDE applications are fine, but the increasing dependency of the system on its semantic desktop is not. (You may think that a semantic desktop would be a nice feature, and in theory it is, but in practice it consumes large amounts of resources for no visible advantage). So I am trying out XFCE, a GTK-based window manager that is very slim and sleek (ie nothing like Gnome!). I am not really worried about the disk space that the KDE applications take, so I am happy to leave them on the disk and maybe even use them (as long as they don't require running akonadi or nepomukserver). This blog post is really meant to be a list of applications that I will use in XFCE instead of the ones I use in KDE. It is an evolving post: I will come back and edit whenever I find better options. If you are interested, do come back to check. In case you don't follow my blog, I should say that I use Slackware, either 32-bit or 64-bit (pure, I don't like 32-bit compatibility libraries!). KCalc galculator GTK2-based calculator, has scientific and hex modes. I already use several applications that are not KDE-specific and these don't have to change: OpenOffice/LibreOffice, Inkscape, Calibre, Sigil, Skype, Hugin, Pidgin, Audacity, XVidCap, Xournal, Eclipse. This blog is an assorted collection of geeky thoughts, mostly stuff I want to remember about coding, configuring Linux and Slackware.